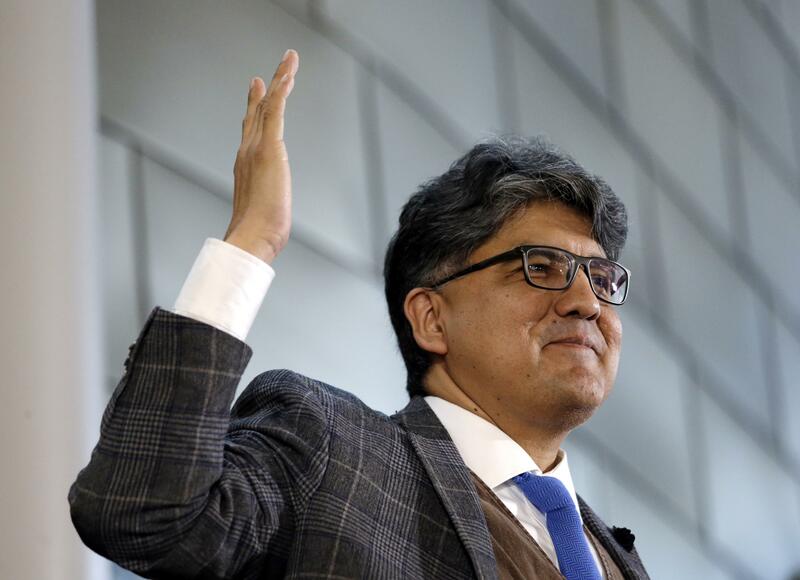 Thu., March 1, 2018, 7:54 a.m.
SEATTLE – Sherman Alexie, one of the country’s most prominent authors, issued an apology Wednesday amid multiple allegations of sexual misconduct. Allegations against Alexie have been vague, referring to unwanted advances and inappropriate remarks and to threats against fellow American Indians. They appear to have first appeared publicly in anonymous comments in a January School Library Journal post about sexual harassment in the children’s book industry. The article did not mention Alexie, but the comments thread had at least five anonymous accusations, including one that mentioned him by name. Alexie’s critics include author Litsa Dremousis, who tweeted she’d known about the allegations against him for months. “By my count, there are now over 20 women who are accusing him of harassment,” she wrote. Dremousis and Alexie have acknowledged that they were in a sexual relationship while he was married. The School Library Journal’s comment thread also include numerous allegations against “Maze Runner” author James Dashner and “Thirteen Reasons Why” writer Jay Asher. Both have been dropped by their literary agents and Dashner’s publisher, Penguin Random House, cut ties with him. Alexie’s literary agent, Nancy Stauffer Cahoon, has not responded to several requests for comment. Alexie’s publisher, Hachette Book Group, referred questions Thursday to Alexie’s comments. He currently has one future book scheduled with Hachette, the paperback edition of “You Don’t Have to Say You Love Me: A Memoir,” which came out last year. The Hachette division Little, Brown and Company will release it as scheduled in April. Often drawing on experiences from his childhood on the Spokane Indian Reservation in Washington, Alexie is best known for his semi-autobiographical novel “The Absolutely True Diary of a Part-Time Indian,” which won the National Book Award for young people’s literature in 2007 and has become assigned reading for middle grade students nationwide. His more than two dozen books include novels, stories, poetry and “You Don’t Have to Say You Love Me,” winner last month of the Carnegie Medal for nonfiction. He has written openly about the complexity of navigating between the American Indian and white communities and speaks often and bluntly on social issues. Published: March 1, 2018, 7:54 a.m.